ROCKINGHAM NC (4-7-09) - Performance matters in motorsports, which is why Penske Racing development driver Parker Kligerman, via the ARCA RE/MAX Series, is turning heads in a big way. 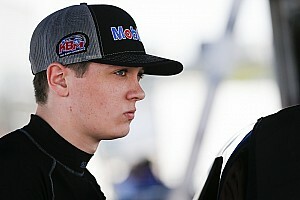 Coming off a career-best third place finish at Salem Speedway last Sunday in a Cunningham Motorsports-prepared Dodge, the 18-year-old Westport, Connecticut driver finds himself second in championship points headed to the next event on tour - the ARCA RE/MAX Carolina 200 at Rockingham Speedway Sunday, April 19th. But as announced earlier this year, Kligerman is only scheduled to run a partial ARCA RE/MAX Series schedule in 2009. "We came in intending to do eight races," said Kligerman. "After Salem, the focus is switching; we'll see how far we can go. Being second in points is obviously a huge incentive, but it's also very early in the season. At this point, it's race by race. After five races, if we're still up there, we'll start thinking further ahead. It'd be hard to say no if we're up there, but if the money's not there, we can't go anyway. Nothing's set in stone. I would obviously love to run the full season." Regardless of what is, or what could be, Kligerman knows he's entered for Rockingham where he tested a couple of weeks ago. "Test went great right up until late afternoon. Had a little mishap off (turn) two - just barely caught the wall. We were already loose. Then when we taped up the car, it made it looser. All in all, it was a good thing because it was a learning experience for me; and that's what it's all about." Outside of his brush with "The Rock", Kligerman liked what he saw in the historic high-banked mile oval. "I liked it a lot. It's not a straightforward track. You have to search around and find the line that works for your car. 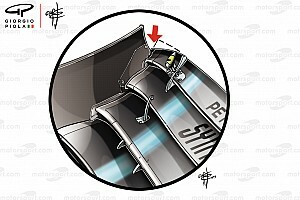 With tires falling off right away, like they do there; there'll be lots of cars moving backwards and forwards. There'll be lots of passing, and you can run from top to bottom on the track, so it's not so line dependent. "The low line seems to be the best way around, but the tires fall off quickly and you have to search around for grip. The biggest thing I learned is how fast the tires went away, and what that feels like. You definitely have to set-up for the long run there. "I'm really looking forward to racing at Rockingham - the track's a blast. It was also the first place I've raced in a stock car where downforce came into play." In four career series starts since his debut at the New Jersey Motorsport Park in September of 2008, Kligerman has not finished out of the top-10. 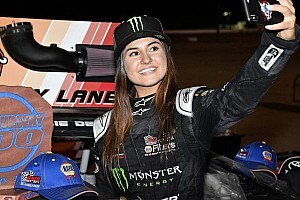 Kligerman got the attention of the troops right off the bat at New Jersey where he qualified second and finished sixth in the rain-shortened race. It was the first time Kligerman had set foot in a stock car. Shortly thereafter, Kligerman finished ninth in the '08 Toledo season finale. Then Kligerman opened the 2009 season with a solid seventh place finish at Daytona in his first-ever superspeedway start, prior to his most recent podium finish at Salem. Kligerman was signed by Penske Racing last September, near the same time that Penske signed 2008 ARCA RE/MAX Series champion Justin Allgaier. In last year's inaugural Rockingham race, Joe Gibbs Racing's Joey Logano, in an all-out dominating performance, steered the Venturini Motorsports-prepared no. 25 Chevrolet to victory lane from the pole. The ARCA RE/MAX Series initially raced at Rockingham Speedway on June 10, 1973 during which time Charlie Glotzbach won the 300-mile event from the pole. 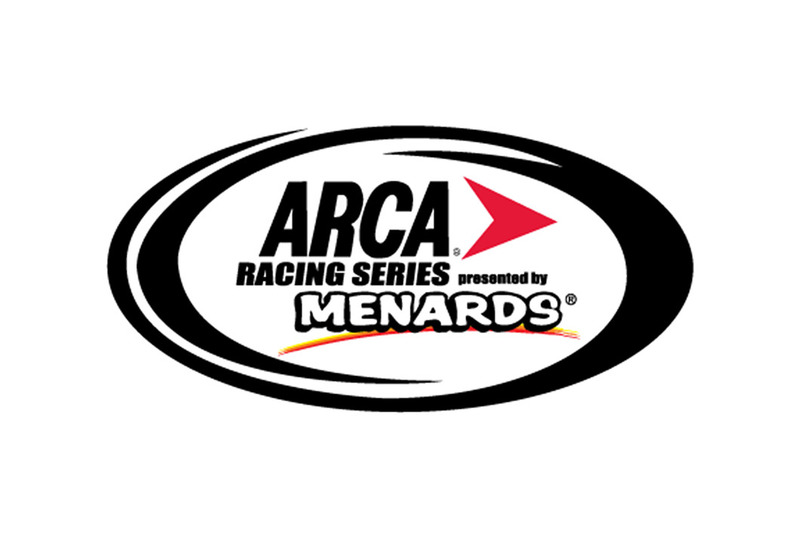 ARCA RE/MAX Series on-track activities at Rockingham start Saturday, April 18 with practice from 11:30 AM to 1:00 PM followed by Menards Pole Qualifying presented by Ansell at 2:30. Driver introductions go off Sunday afternoon raceday at 12:30 PM followed by the start of the Carolina ARCA RE/MAX 200 shortly after 1:00. The race is also live on SPEED with coverage beginning at 1:00 PM Eastern. For more information about the Carolina ARCA RE/MAX 200 or to order tickets, please contact the speedway at (910) 205-8800 or visit the website at www.rockinghamspeedway.com.